Whether you're looking for a modern, traditional or more transitional style, new cabinets are a great way to transform your bathroom into your dream space. A cabinet makeover will not only make a bathroom more functional, it will make it look and feel like brand new. Bathroom cabinets are also one of the best investments with regards to upgrading the value of your Florida home. Your bathroom is a place of serenity. It is large selling point for potential home buyers as well. A new bathroom cabinet can instantly update your home, adding market value, style and elegance. Likewise, dated or damaged cabinets detract from the room's beauty, your peace of mind, and can decrease real estate worth. 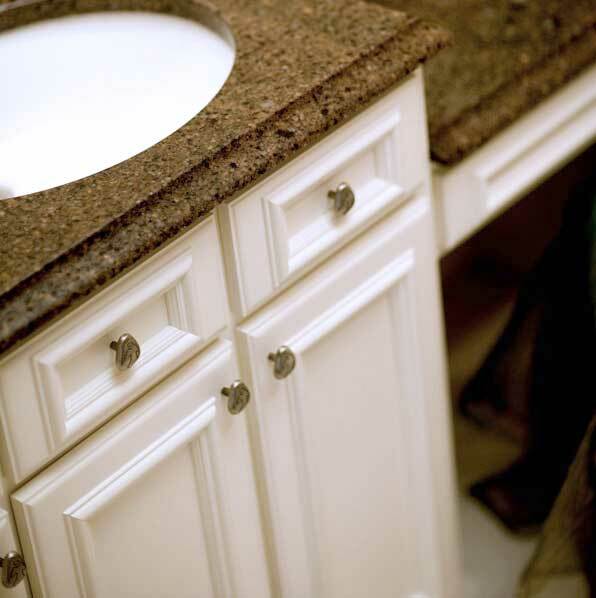 Affinity Kitchen & Bath offers custom cabinets, semi custom and stock size cabinets to maximize every inch of useable space in your bathroom and minimize the use of 'fillers'. You’ll love the way your bathroom cabinets looks when we’re finished because we only use the highest quality machines and materials, and brands. You’ll not only be able to get a better design by using Affinity, but you’ll also receive a better end product. Your bathroom will look stunning after we’re finished.